Justin Brooke has been an online media buyer since 2005. He started making money in 2007 and has since turned a "pathetic $2/day budget into a 6-figure business in 11 months." 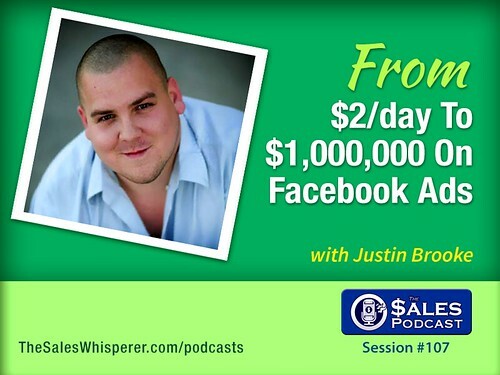 Since 2008 he has spent over $1,000,000 in Facebook marketing so you want to listen to his advice on how to buy traffic to grow your sales. Where clients want to focus ad buying today. How to determine where to start your PPC. How to decide when to use Google AdWords vs Display advertising to grow your sales. The simple format for writing good posts and creating good ads. The top-converting traffic sources today. How to create a high-converting opt-in. How to create simple yet effective videos for your ads. The difference between CPC and EPC and how they are related to your sales growth. It's all about progress, not perfection"
Learn how to advertise online with Justin for a year! Learn Google AdWords for an entire year with Justin! Get Justin Brooke's course, "The Marketer's Guide To Finding Customers Online"